Afrobarometer, a credible, pan-African polling organization, released new data [PDF] on the desire to migrate in most African countries. How to respond to immigration in all its forms is a compelling political issue in rich countries, making the migration data especially relevant now. Notably absent are residents of Sudan, South Sudan, and Eritrea, whose citizens comprise a large proportion of African migrants. Nigeria, fortunately, was included. In 2016, Nigerians were the largest migrant group entering Greece and Italy, and they were the largest group trapped in Libya. In some ways, the Afrobarometer findings are no surprise: about one-third of those Africans surveyed have considered emigrating. Their primary motivation is to search for work and to escape from poverty. Afrobarometer finds that migration is especially attractive to the young and the better educated. Younger people have always been able to move more easily than other age groups, and the better educated are likely to be more aware of opportunities outside their own country. They are also more likely to find work. 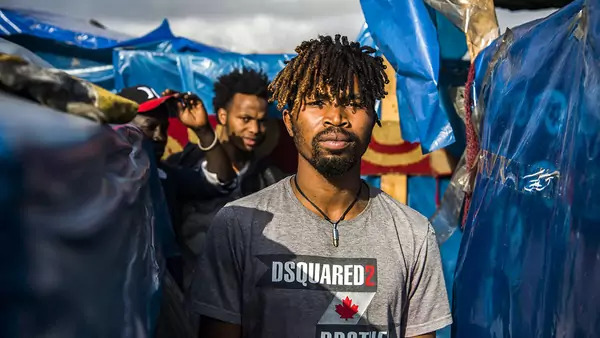 What is surprising is that the largest share of potential migrants, 29 percent, want to go to another African country within their particular region, and an additional 7 percent want to go elsewhere in Africa. North America would attract 22 percent, and Europe 27 percent. The rest of the world would attract the other 13 percent. In other words, more than a third of potential migrants would stay in Africa, while about half would go to the developed world. This varies by region, however. In southern Africa, more than half of potential migrants would stay on the continent, while in North Africa, the figure is just 8 percent. Afrobarometer found 3 percent of those surveyed were actually making preparations to emigrate. But in Zimbabwe and Lesotho the number was 7 percent. Zimbabwe, of course, has an economy that has all but collapsed, its population is relatively well-educated, and migration to South Africa is easy. Ease of migration to South Africa is also true of Lesotho, where its citizens have long worked in South African mines. The populations of African countries are growing faster than their economies. It should be anticipated that African interest in migration will only increase absent economic transformations at home.